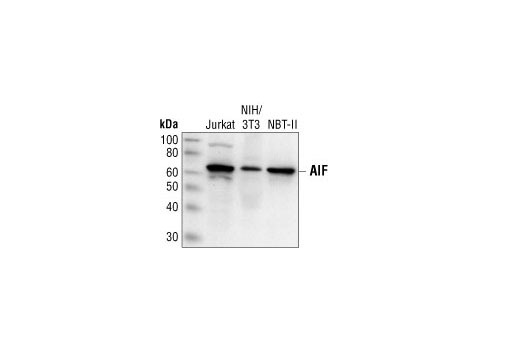 Western blot analysis of extracts from human (Jurkat), mouse (NIH/3T3), and rat (NBT-II) cell lines, using AIF Antibody. 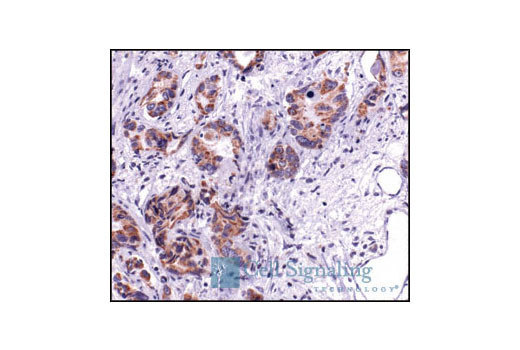 Immunohistochemical analysis of paraffin-embedded human breast carcinoma, using AIF Antibody. 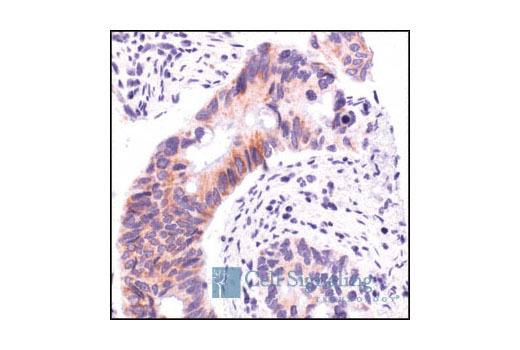 Immunohistochemical analysis of paraffin-embedded human colon carcinoma, using AIF Antibody. 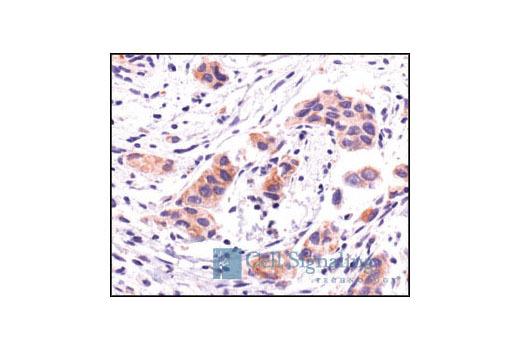 Immunohistochemical analysis of paraffin-embedded human lung carcinoma, using AIF Antibody. 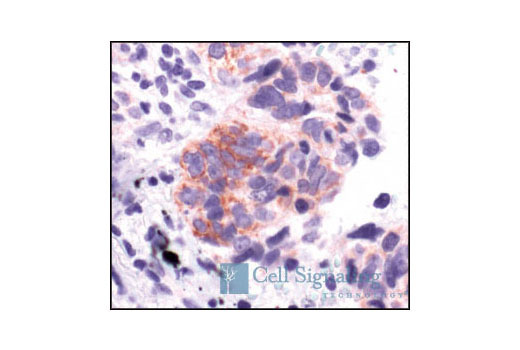 Immunohistochemical analysis of paraffin-embedded human prostate carcinoma, showing perinuclear and cytoplasmic localization, using AIF Antibody. Confocal immunofluorescent images of HeLa cells labeled with AIF Antibody (green) showing colocalization with mitochondria that have been labeled with MitoTracker® Red CMXRos (red). Blue pseudocolor = DRAQ5® #4084 (fluorescent DNA dye). 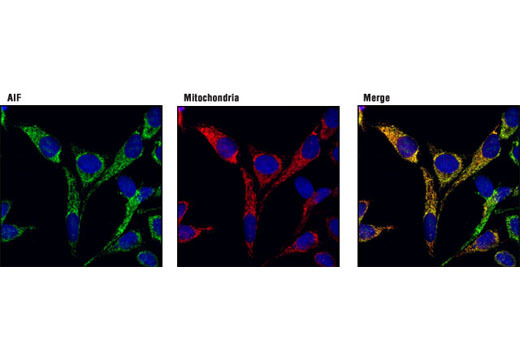 AIF Antibody detects endogenous levels of total AIF protein. Polyclonal antibodies are produced by immunizing animals with a synthetic peptide corresponding to residues within the carboxy terminus of AIF. Antibodies are purified by protein A and peptide affinity chromatography.